Jeffrey Tambor’s Transparent character Maura will be killed off at the beginning of a feature length musical finale after the actor was accused of sexual misconduct. Transparent creator Jill Soloway confirmed the news in an interview with the Los Angeles Times yesterday. In the interview, she said that the feature length finale will follow the Pfefferman family dealing with the fallout after Maura’s death. Soloway—who is non-binary—told the newspaper that they were “all in mourning in many ways” when they decided to kill off the character. “It was important [for the show] to go through all those stages. The show has always been a reflection of who we were and we were mourning our own narrative,” they said. The episode finale will be titled The Transparent Musicale Finale and will follow the family as they come together in their grief after Maura’s death. Other stars from the show are set to return for the finale such as Kathryn Hahn, Trace Lysette, Cherry Jones, Tig Notaro, Melora Hardin and Rob Huebel. Jeffrey Tambor was removed from the show after former assistant Van Barnes and co-star Trace Lysette accused him of harassment. Tambor denies the allegations. 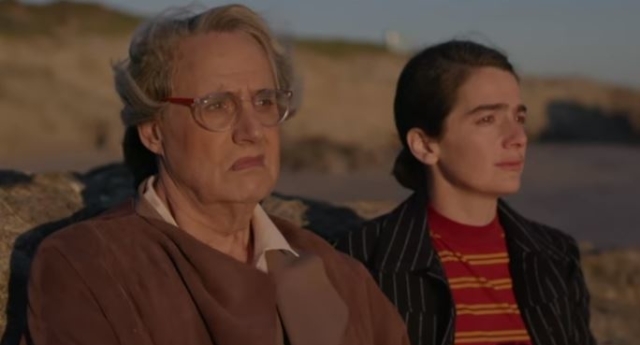 Following Tambor’s removal from the show in February of last year, it was revealed that Transparent would end after one final feature length film. However, the Hollywood Reporter piece poured fresh controversy on the scandal – with revelations that both Jill Soloway and her sister Faith Soloway, neither of whom are transgender, had sent private messages to Tambor appearing to voice suspicion that the accusers were a part of a “coup” seeking to oust the actor from the part because he was a male actor playing a trans woman. While Tambor was fired from Transparent in February of last year, he has continued in his role in Netflix’s Arrested Development. Who is Marc Jacobs’ husband Char Defrancesco?